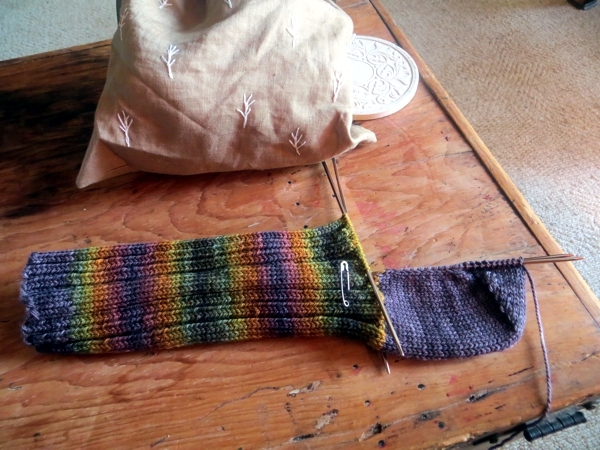 After you've decided on the number of stitches to cast on you can knit for quite a while on gift socks without thinking, but then you have to start worrying about how long you should make the leg, how much arch the recipient's foot will need, how far to go before starting the toes - GAH. So many decisions. I am not good at decisions. So it's helpful that I'm working with yarn in nice peaceful foresty stripes, and I can just relax and enjoy the stitches and the gentle colour shifts. 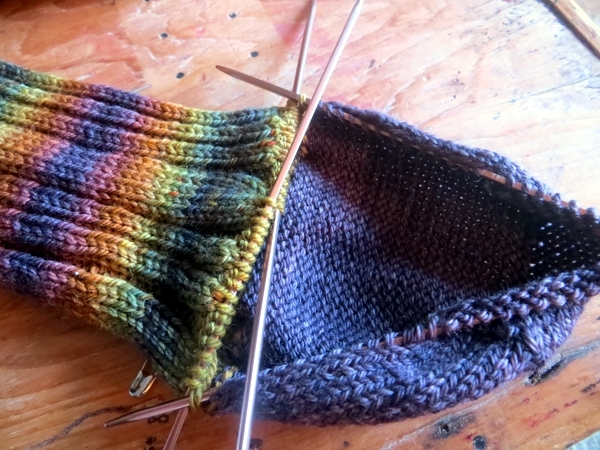 And also, the way a heel flap turns into a heel cup, before you get going on the gusset. Sometime I should knit a heel flap like this as a decorative bowl for the coffee table/LP record trunk at the cottage: I'd keep acorns in it. Except that now I think of it, none of the cottage trees produce acorns. Hmmmm. 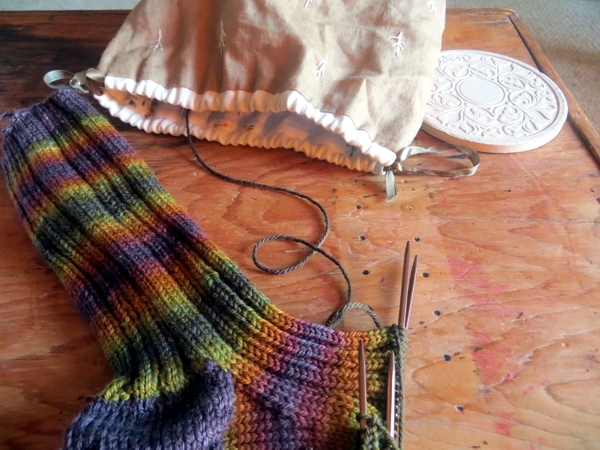 Switching to purple for the heel was a no-brainer, because it's the only way I can think of to stretch out the stripey yarn far enough for a whole sock. And I do love the way it looks, don't you? Bonus: the stripes on both socks are matching up pretty near perfectly. 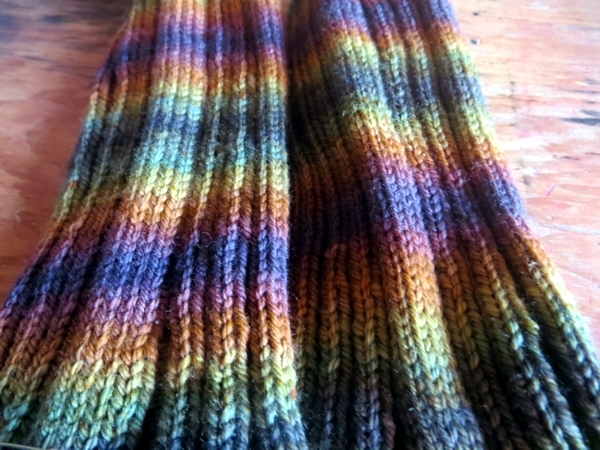 You can't always count on that with self-striping yarn, which makes it such a gift when it does. Have a great holiday and I'll see you back here in a few days! The colors in your yarn are stunning!